The plan component is to sort the creditors into classes. Bankruptcy Code Section 1122(a) says that a plan can place a claim or interest in a particular class only if such claim or interest is substantially similar to the other claims or interests in the class. Unsecured nonpriority claims are usually put into the same class. Each secured claim is typically put into its own class. The unsecured portion of an under-secured claim is typically put into the same class as general unsecured nonpriority claims. For example, if the debtor owns an office building worth $500k, and subject to a $ 700k mortgage, then there is a secured claim of $ 500k in its own class, and the $ 250k undersecured portion is put into the class of general unsecured nonpriority creditors. Bankruptcy Code Section 1122(b) allows creation of an "administrative convenience class" consisting of claims which are less than or reduced to an amount that the court approves of as reasonable and necessary for administrative convenience. The idea was to streamline the administration of larger, corporate Chapter 11 cases, by weeding out the very small-dollar-amount claims. For example, the plan could have a class for all claims of less than $ 1,000.00. These claimants (and any other creditor who wants to join this class by reducing his claim to $ 1k) would typically receive relatively favorable treatment on confirmation of the plan. This could be payment of an immediate, one-time cash dividend in full payment of the claim. 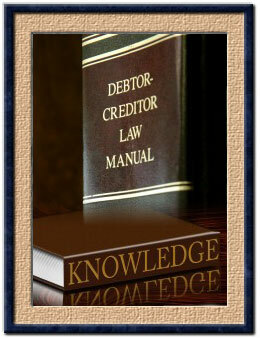 For example, take a debtor with 10,000 creditors, 9,500 of whom have claims of less than $ 1,000.00 each. If this amount constitutes only 5% or less of the total dollar amount of claims, then creation of such a class made sense. After the one-time payment, these 9500 creditors could be eliminated from the rolls and not be required to be served any further notices. The case would consist of the remaining 500 creditors holding 95% of the dollar amount of total claims. Elimination of this administrative burden was especially helpful when all bankruptcy filing and service was done by paper. This advantage has been diminished with the advent of computerized electronic filing and service. However, this was perhaps an early example of "going green" and "saving a tree". 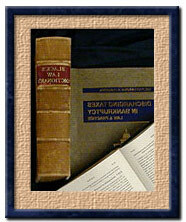 Over the years, Chapter 11 bankruptcy attorneys found a new raison d'etre for Section 1122(b). They found that this class could be defined in such a manner as to greatly increase the chances of a "Yes" vote on the plan. The vote of at least one impaired class is needed for Chapter 11 plan confirmation. By creating an artificial or gerrymandered "administrative convenience" class, a debtor facing stiff creditor opposition on other fronts might be able to secure the votes needed for confirmation from this "friendly" class. For instance, an "administrative convenience" class in a case with only 20 creditors would appear to be a non-starter. Needless to say, courts are on the lookout for legal shenanigans in this area. A legitimate business purpose must be shown to warrant creation of such a class. Under Bankruptcy Code Sections 1123(a)(2) & (3) the plan must state what classes of claims and interests are "impaired" and "unimpaired". This distinction is very important. Creditors in impaired classes get to vote on the plan. Creditors in unimpaired classes do not get to vote and are deemed to have accepted the plan. Whether a class is unimpaired or impaired can often make or break the debtor's plan. Under Bankruptcy Code Section 1124(1), a claim is impaired if the plan changes the claim holder's legal, equitable, and contractual rights. Bankruptcy Code Section 1124(2), however, allows a plan to make up past due payments to a secured creditor or lessor over time, without it being considered an impairment of the claim. The usual Chapter 11 unsecured creditor is impaired--the plan is going to give him say 5-10 cents on the dollar of what he was owed, so his contractual rights are being altered. Plans often try to extend the maturity dates of secured debt like mortgages, so they are likewise impaired. The claims of equity security holders are impaired if the plan calls for them to be canceled. This area has spawned a fair amount of Chapter 11 bankruptcy litigation. Perhaps some of it could have been avoided if Congress had defined the term "impaired" in the Bankruptcy Code's "Definitions" in Section 101. Instead, it chose to define the term in the negative, in Section 1124(1), and then to add an exception to it, in Section 1124(2). Ultimately, in the event of a dispute, the Chapter 11 bankruptcy judge decides the issue. Can You Run a Business While In Bankruptcy?